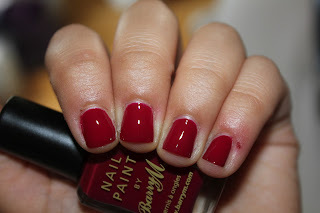 See Sarah Swatch: Glimmer by Erica Swatches and Reviews! 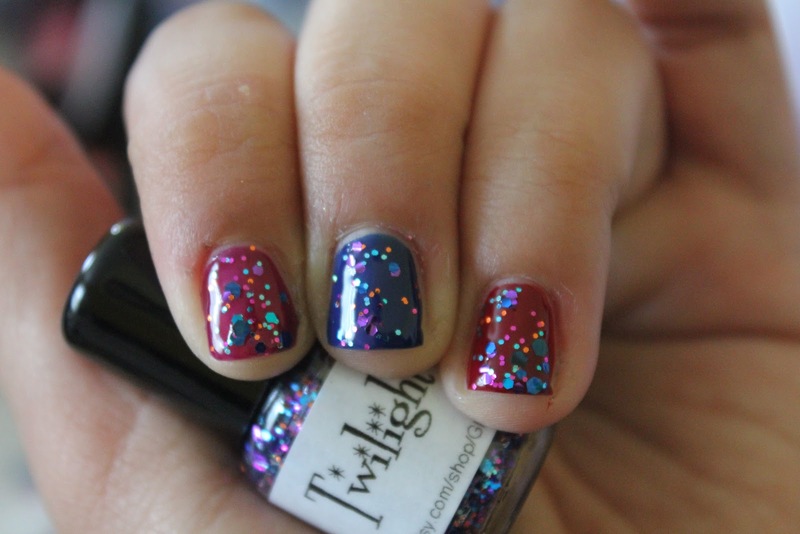 So today I have some seriously pretty glitters for you. 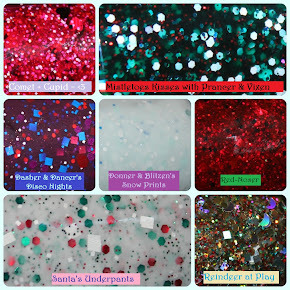 I have 6 stunning glitter toppers to show you all today from Glimmer by Erica! 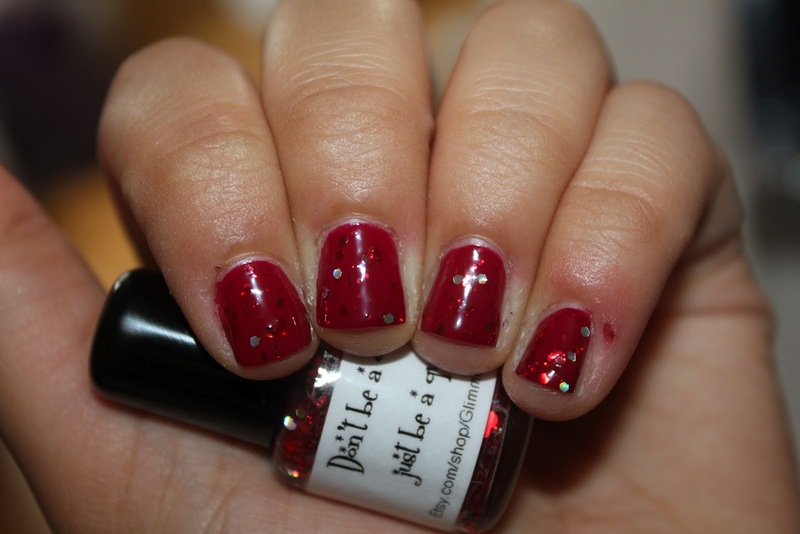 This polish is "a vibrant, sparkling red with silver prism glitter and beautiful red hearts" according to the listing. And it really is! I love how it looks like this at one coat, but for extra bling, definitely go for 2. I was also impressed with the formula on these, really smooth and got a good distribution and amount of glitter on each nail. 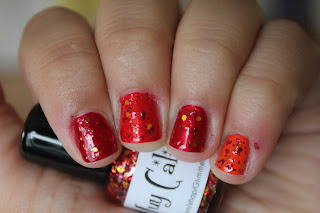 Muy Caliente, a "super sparkly mix of red, orange, and yellow glitters in a clear base", is one of my favorites!! I'm obsessed with these colors together. It's really fiery-looking. 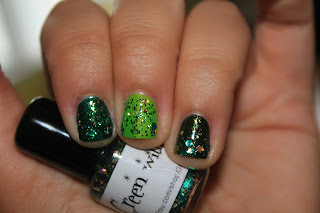 I'd love to do a glitter gradient with this! 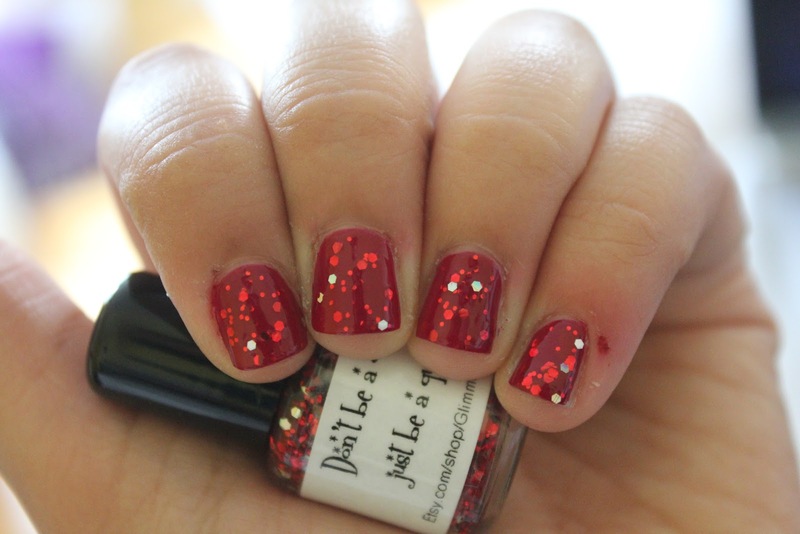 I can't decide which polish I like it best over, but it miiiiight be Orange, It's Obvious. Or Red Carpet. ahhh, don't make me choose! 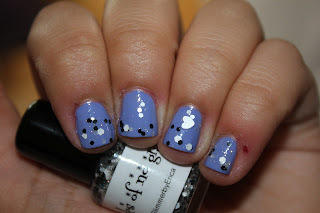 50 Shades of No Gray is a "sparkly base with black and white hexes and black and white hearts". I'm not usually the biggest fan of heart glitter, but I think it looks really cute in this polish! Application and glitter distribution was the same, really great. 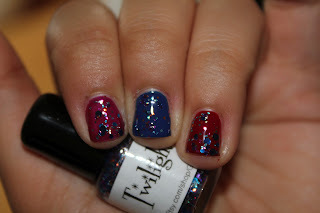 I love the sparkly base a lot. I wish I had gotten like 1 or 2 more hearts, but that's the only slight downside. 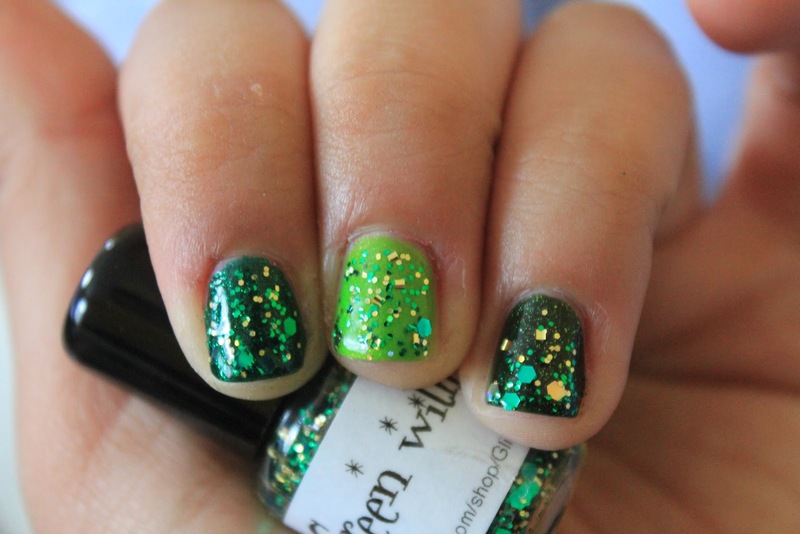 This is Green with Envy, " emerald green micro fine glitter, gold micro glitter, emerald green hexes, small gold squares, round gold holos and diamond holos". Uhm, yes please. Green + gold is one of my favorite combinations. I really love this over Deal with It!! I'm also a big fan of the green to gold ratio. Perfection! Finally, Twilight Sky: "a sparkling purple glitter base with purple, blue, and orange micro glitter, blue sapphire holo glitter, purple square glitter, and dark navy blue glitter, all in a clear lacquer base". 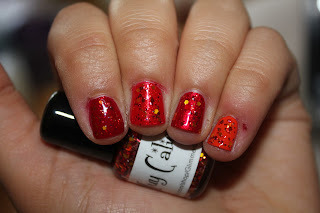 I feel like the orange glitter in this one does the same thing as the yellow in Ethereal. Gorgeous. 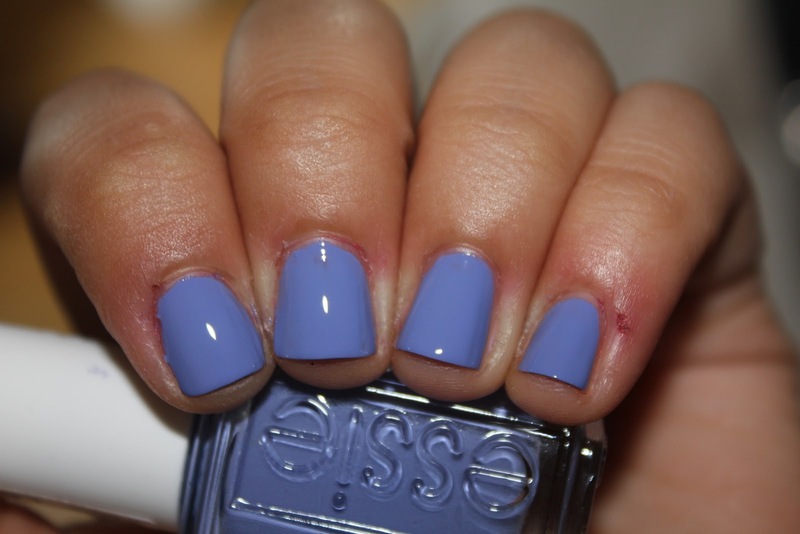 How pretty is this over purple?? Don't Be a Drag Just Be a Queen literally made me laugh. What an awesome name! 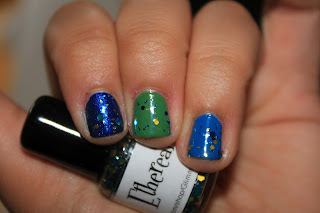 And while I know this post is about the glitters, I have to say that Boxer Shorts is such a great color on you! These are all very cute...I will have to check out that store sometime! So much awesomeness! Love them!